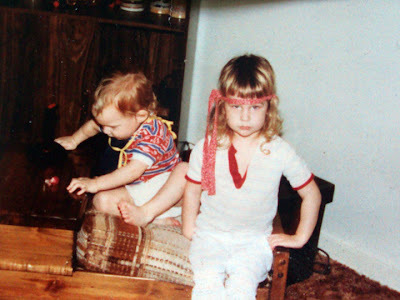 I'm linking up today with Monica over at Monica's Notebook for her Throwback Thursday link up. 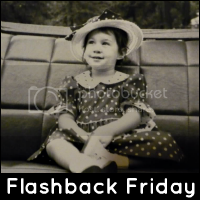 And now also adding to Camille over at Crazy Mama for her Flashback Friday as well! So I found a photo of myself and brother back from good ol' 1985 when I was just three years old and he was two. We were living in beautiful Alaska at the time and for those of you who have been there know it's a crazy state weather wise. Because of the dark months there, we stayed indoors a lot.